We called it Christ's Kitchen. The way it worked was that ANYONE could walk in the doors of the parish hall every morning Monday to Thursday and Saturday (that way you'll never be without a meal two days in a row. It was warm in the winter and cool in the summer. You and your whole family were welcome to come in out of the elements. Breakfast was served at 8:30am, and lunch was served at around 11:30. We closed the doors at noon. We made special efforts for Thanksgiving, Christmas, and other holidays. We brought out the silver chafing dishes, and did it up right. We honored the Christ's Kitchen clientele as we would any honored dinner guest. 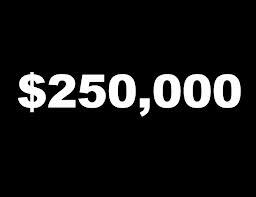 There was an atheist in town who came to see me in my office and told me that he wanted to give us $250,000 for our efforts in the kitchen. The money was not to be used for the church. 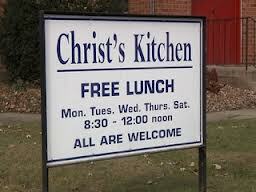 It was to be used for "Christ's Kitchen". He wanted the money used not for what we said we believed. He wanted it used for what we did. He said what we did had more of the sound to Jesus to him than what we said in church. I am a priest I hasten to add that what we do in church is very meaningful to me. But this gift has always struck me as especially meaningful. There is a lesson in there for Christians, non Christians, atheists and others too. Interestingly, Jesus said exactly the same thing. 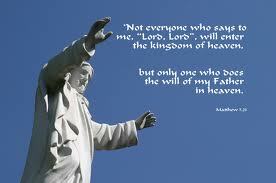 "Not everyone who says to me Lord, Lord will enter the kingdom of heaven, but only the one who does the will of the Father who is in heaven." It is as the recovery folks say; "Walk the Walk; Don't talk the talk". Labels: Doing the will of God, The Atheist's Gift, Walk the walk versus talk the talk. Good morning all. Allow me to introduce myself. My name is Paul Bresnahan. I am a native of Somerville, Massachusetts. I am married and have three grown male children two of whom live locally and one of whom lives in San Francisco. He sings for a well known musical group “Chanticleer”. I received a Bachelor of Arts degree from Glendon College, York University in Toronto, Ontario in 1967. I majored in Psychology and minored in Sociology. The behavior of human beings as individuals and in groups has turned out to be a life long fascination for me in parish ministry. That I’ve done for over 41 years now in congregations in my home Diocese of Massachusetts, the Diocese of Ohio, South Carolina, and West Virginia. Most recently I served in an interim assignment in Douglassville, PA not far from Reading. Now, I’ve been invited to consider another position in the Diocese of Bethlehem. I felt like I was getting to old for all this until a 72 year old Irish carpenter came to the house the other day to do a few small improvement projects for us. We compared notes. He likes to work for 6 months and take six months off to go to Florida. I like to do part-time interim ministry and spend a week every month being in my home by the sea off Lynn Shore Drive. There the dog and I can watch the tides come and go. This is what keeps me going; the love of the sea and the love of the work I do for God and the people of God. People like yourselves. I attended the Episcopal Theological School in Cambridge, MA; now known at the Episcopal Divinity School. I majored in Scripture and graduated way back in 1972. So then I studied the words of Jesus, the Law and the Prophets with some care. In today’s Gospel, for instance, Jesus told us to be on our guard against all kinds of greed for one’s life does not consist in the abundance of possessions. My namesake, Paul the Apostle to the Outsiders and the Outcasts, identifies greed as being idolatry itself in today's Epistle. The Prophet Hosea recounts the story of God’s love for his people, and how he feeds them and quenches their thirst, but not just of the sort that is necessary for physical survival. He nourishes them with freedom from slavery and finds for them a Promised Land and gives them a Law to live by. But the people turned away from God to worship idols and God’s fury is kindled against them. So the story goes in today's First Lesson. So today let’s turn out attention to greed and idolatry. My step father was a wonderful man. He was the only man able to love my mother, a feisty woman if ever there was one. But H.K. as my brother and I called him; his name was Homer Kershner, had backbone and knew how to stand up to my mother. Oh the fights they had were impressive; but as I say he loved her. Neither my mom nor H.K. were the least bit religious. Mom was married and divorced at least three times we know of. When she married the only man who could really love her, the church refused to marry them. But this was back in 1958 long before the church revised its canons to allow for remarriage. And my uncle, well, my uncle was what my grandmother called a “confirmed bachelor”. I didn’t know at the time that meant he was gay. I had to become an adult to figure that out. He was reluctant to come very far out of the closet. And the church had little interest in standing up for the likes of him. As I say, all this was way back in the 50’s and 60’s, long before we talked about any of these things. I sometimes feel like there are eyes and smiles looking down from heaven as what now emerges as a much more merciful and inclusive church. I am pleased to say that I have played a small part in all this. Even now Pope Francis is making room in the heart of the church for divorced Catholics and gay clergy. Who would have thought! But my step father was a very practical man. He was an engineer. It was his view that there might be a God. One can hardly account for the wonder of Creation without the notion of a God. So, as it was in H.K.’s theology; we can probably allow for God’s existence. Nice of him to all God to be, I thought. But as to the matter of life and death; it was pure simplicity; when you’re dead you’re dead. He was also a practical man when it came to business. He understood the rat race. He worked in the midst of it. To him business is driven by the profit motive and ultimately all that mattered was the bottom line. Ultimately, the only worship there was in the world was the worship of the Almighty Dollar. He said as much more than once and my mother would give her “Amen” to that frequently preached homespun sermon. 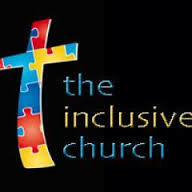 As I grew more and more into the church, you can well imagine how our values clashed. Particularly as I studied the Scriptures such as the ones we have before us to study today, I sensed a collision between Corporate America and the Biblical mandates. Watch out for the Greed. Insofar as you have done it to one of the least of these you have done it to me. These are the words I heard from Jesus. And so I built a homeless shelter and expanded soup kitchens, food pantries, and transitional housing for battered women and their families in congregations I served. The church as I have experienced it as least when it is vital and mission driven, organizes its live around the needs of the vulnerable in our midst. And we are fearless advocates for those in need. These values clashed with my family’s values. Yet, I loved my step father. He was a good and honorable man and as I said before he loved my mother. As they ripened in age and faced weakness that age brings and began to face into the inevitable, my mother wondered sometimes about God and heaven, my step father continued to insist on his rather self evident truth, as he proclaimed it; “When you’re dead, you’re dead.” I often smiled at H. K. and said; “For living with my mother, you’re going to go to heaven whether you want to or not!” We all got a good chuckle over that one. Greed and idolatry are two concepts that come back to us again and again in the scripture. And so does our love for one another. These themes continue to swirl around one another in a potentially creative or destructive dynamic. In the reading from Hosea today we see God’s wrath kindled as the worship of Israel strays away from the Justice and the Law of God; a Justice and a Law that requires the faithful to be caring of the vulnerable in our midst. But we know too how the prophets like Amos warned the people; “Woe to you who grind up the poor!” Notice that what deepens the ire of God in idolatry is not just the theological and liturgical dimensions of it; it is the way the poor end up being treated. It is interesting that the warning involves the future of the nation. For if the idolatry continues the nation puts its own survival at risk. This is obviously true in the prophetic tradition. This same theme Jesus repeated at the end of his ministry. It is so important that the great Cathedrals of France like Chartres and Notre Dame repeat the theme in impressive sculptures placed prominently over the west portals. Every king, queen and commoner must pass under the same judgment seat of Jesus. There he is separating the sheep from the goats. I went to France earlier this summer with a group of young people from my church in Douglassville, PA. We were on Pilgrimage. None of the tour guides knew the of the biblical backdrop of that sculpture. To them it was just a quaint warning from a superstitious bygone society to keep the peasants in line. But none of the commentators I read seemed to understand that the sculpture was a reference to those ultimate questions of Jesus. When I was hungry you did or did not give me something to eat. When I was thirsty or not thirsty you did or did not give me something to drink. Likewise when naked, or sick or in prison...you did or did not minister to me. Thus the nation shall be judged. Thus shall all the nations be judged; by how well or how shabbily the poor are treated. 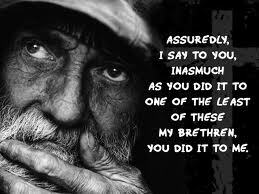 For insomuch as you have done it to one of the least of these, you have done it to me; Jesus said more than once. The French Revolution derived a great deal of its impetus from the callous disregard of the monarchy and the church for the plight of the poor. Whether she said it or not Marie Antoinette’s word’s “Let them eat cake” cut like a knife into the soul of the nation. The violent outcome may not have been necessary if the Monarchy and the Church had more of a heart for those in need. After all it was no less a light than Winston Churchill who quipped: “I’d rather fight an enemy who has been well fed than one who is hungry”. Alas, nations and empires come and go and when the heart and soul of a people is fully invested in the nation its chances improve significantly. But when the rich turn their backs on those in need history teaches us again and again that such a posture endangers the entire national enterprise. You can judge for yourself how we are doing on such measures especially when we think of something as directly related to this dynamic when our food stamp program is so drastically cut. As I say, you can judge that for yourself. 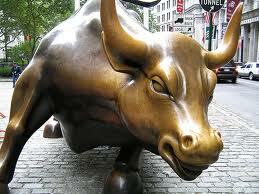 Suffice it to say idolatry and greed are directly related according to the biblical material we have before us. As we consider the factors that contribute to our social policies in the nation, I hope we also keep our biblical social ethic also in mind. Thankfully, God is reluctant to remove his love from his people as we can see from the passage in Hosea. Just because my step father and I disagreed about our theological position with regard to the resurrection did not interfere with our love for one another. We his children must also learn to love especially those most diametrically opposed to us. 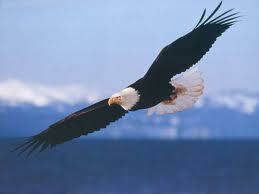 After all, the Eagle cannot fly let alone soar without both wings. If those on the right wing learned how much we need those on the left and vice versa, imagine what we can do? In the meantime we sputter and stall in gridlock and mutually nullification. Imagine what we can become the day we discover we are all on the same side. Jesus asked Peter if he loved him. Peter said, "You know that I love you." A second time Jesus asked Peter if he loved him. Peter said , "Yes, you know that I love you." A third time Jesus asked Peter; "Do you love me?" This was now the third time Jesus asked this question. Jesus must have had his doubts. 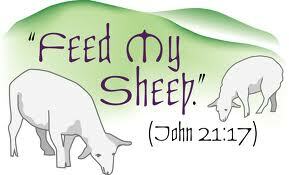 Jesus must have wondered if his followers would take seriously the mandate to feed the poor. After all it was the same Jesus who said, "I have come to bring Good News to the Poor". That Good News was not about words. It was about action and deed. But Jesus had to make his point. For the record, you can read the story for yourself here. 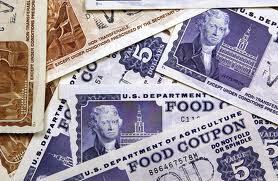 I cannot help but wonder how cutting food stamps fits into this equation. Can any "Christian" politician explain to me how this fits into the Gospel of Good News to the Poor. Much of what is happening in budget cuts and "sequestration" sounds like very bad news for the poor. Seen from the point of view of the One who commended generosity and sacrifice to us, it is very bad news indeed. How can you turn your back on the poor? Labels: Jesus and the Poor. The Poor. Economic Disparity. Budget Cuts, Sequestration.